A subject about which, you and all club members, should put forward some proposals for consideration at the upcoming, Special Meeting of the club committee. Please read on! In its 135 year history the Anerley Bicycle Club has acquired, mainly by donation, some beautiful trophies. Most of these were awarded to members for their great achievements on track or road. However it is some long years since the club has had a world record breaker, or even U.K record holder on its membership rolls. But in times past, we did! In a few weeks time it will be the club’s annual dinner and prize giving but many of these wonderful trophies will remain in the attic, gathering dust because club members are no longer taking part in the events for which these glittering prizes were traditionally awarded. 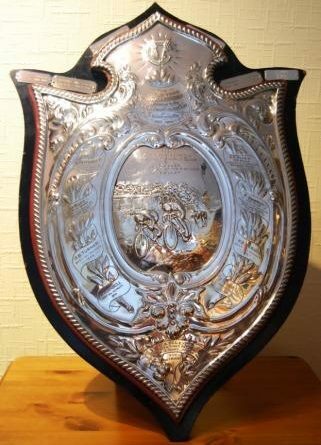 Take for example this magnificent shield which dates back over 100 years. The Appletree Shield was first awarded in July 1900 for the winning ride – i.e. greatest distance ridden in 12 hours. In the following years, 1901, 1902, and 1904 the shield was awarded to G.A. Olley of the Anerley Bicycle Club, one of the most outstanding distance cyclists of his era. His record ride in 1904 was over a distance of 202 miles, which over unmade roads (no tarmac then, just muddy cart tracks!) was a great achievement. It was also an achievement to win this gruelling event three times, as a result of which the shield was given to him to keep, in perpetuity. In 1955, upon the death of G.A. Olley, his son donated the shield to our club. From that time onwards the shield was awarded each year to the club member who recorded the highest mileage in a 12 hour race. The only problem with that, being, that we no longer have any members competing in 12 hour races! 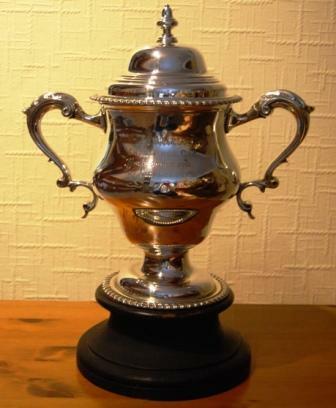 There are other club trophies which are no longer competed for, due to there being no active members in the discipline for which the trophy has traditionally been awarded. So perhaps it is time for some old traditions to be superseded by events which are more in tune with the interests and participation of today’s club membership. 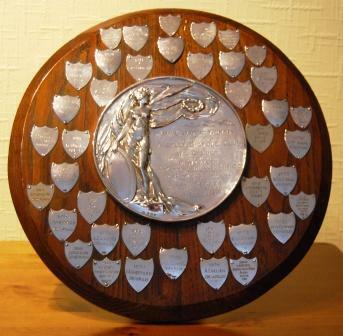 By tradition the Appletree Shield has been awarded for a long distance cycle racing ride. As the current membership appear to be more interested on cycle touring, rather than cycle racing, perhaps the Shield could be awarded to a club member (or members) who has undertaken a cycle tour of some particular and/or special merit. A bit ambiguous I know, but let’s be a bit vague to open the event up to as many members as possible. G.A Olley’s greatest achievements were setting the record for the Lands End/ John O’Groats ride, twice. First in 1903 and then reducing his first record by 15 hours in 1908, with a ride time of a remarkable 3 days, 5 hrs and 20 minutes! Not exactly a record to compete with Olly’s time but was this the furthest point north last summer? 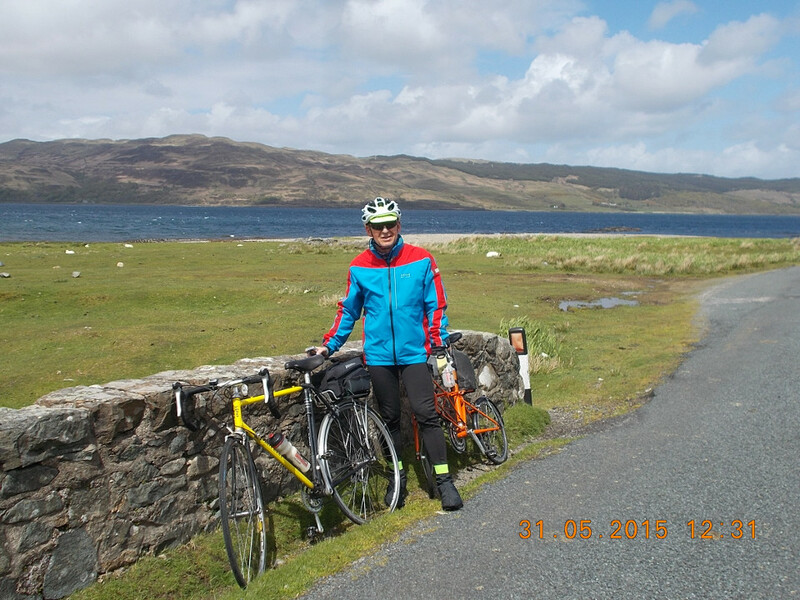 John Dadson and Mark Hancock cycle about Mull and the Isle of Skye. The Most Adventurous Ride? 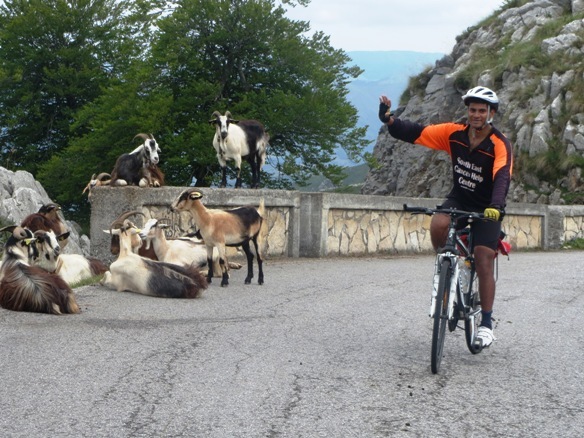 – Christopher Vaz climbs up a mountain road, in the Picos de Europa mountains in Northern Spain. This climb regularly features in the Vuelta d’Espana. Actually this was the fourth mountain top on the day, so does over 4,000 metres count? The longest and hardest bike tour of the year? 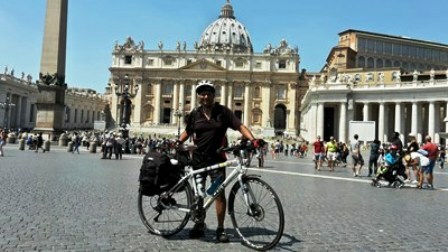 Our Club Captain made it to Rome, over the Alps with luggage and camping gear! Touring is not the only major activity of our club membership. Also very popular is riding sportives. This surely must warrant some form of achievement award, and we do have lots of unused and under used trophies. So thinking caps on, what should we award our silverware for? Who knows, with a bit of effort you might be the winner of one of the club’s wonderful trophies. I should mention the down side – winners have to get the Brasso out and keep the silverware bright and shiny!